NRA, In New Document, Acknowledges More Than 20 Russian-Linked Contributors The National Rifle Association now tells Congress it received a small amount of money from fewer than two dozen Russians or people in Russia since 2015. The National Rifle Association, which exhibited at the Conservative Political Action Committee conference, has acknowledged it has more Russian contributors than it previously did. The National Rifle Association has accepted contributions from about 23 Russians, or Americans living in Russia, since 2015, the gun rights group acknowledged to Congress. The NRA said in a letter to Sen. Ron Wyden, D-Ore., unveiled on Wednesday, that the sum it received from those people was just over $2,500 and most of that was "routine payments" for membership dues or magazine subscriptions. About $525 of that figure was from "two individuals who made contributions to the NRA." Wyden has been querying the NRA about its Russia connections following press reports that suggest the FBI is investigating whether Russians might have tried to use the NRA or other political organizations as part of their attack on the 2016 election. One high-profile Russian NRA supporter, state bank official Alexander Torshin, has cultivated a years-long relationship with the organization — but he was placed under sanction by the United States with other Russians last week. The NRA acknowledged that Torshin, a Kremlin-linked politician, is a life member of the NRA, and has been since 2012. "He has paid membership dues, but has not made any contributions," NRA general counsel John Frazer wrote to Wyden. Now, however: "Based on Mr. Torshin's listing as a specially designated national as of April 6, we are currently reviewing our responsibilities with respect to him," Frazer wrote. Frazer told Wyden in his letter that he believed the NRA has been more than cooperative with Wyden's questions and that this would be the last response he'll send to the senator's office. "Given the extraordinarily time-consuming and burdensome nature of your requests, we must respectfully decline to engage in this beyond the clear answers we have already provided," Frazer wrote. The NRA has been revising its statements on the question of foreign donations. Steven Hart, an outside counsel for the NRA, had said previously in an interview with ABC News that the NRA had received just one contribution from a Russian individual between 2012 and 2018. Since then, it has emerged there have been more. A Wyden aide, who asked not to be identified discussing the office's investigation, said the NRA's shifting statements would prompt Wyden to consider how he might continue his questioning. 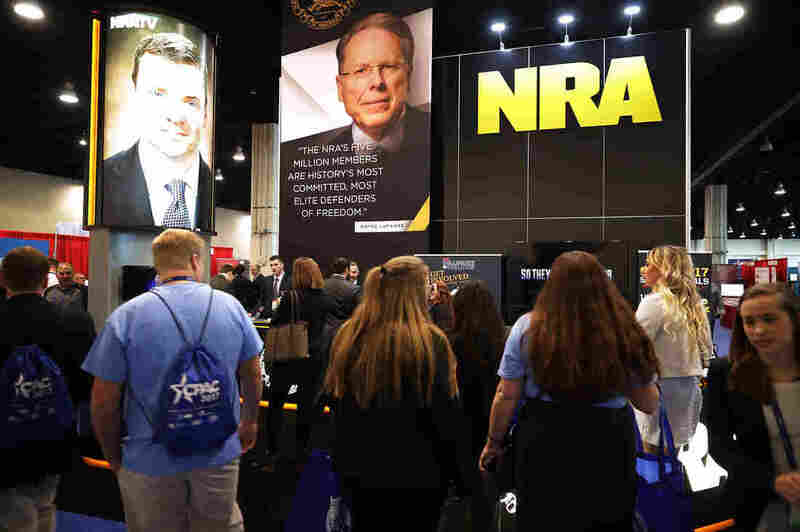 "After three letters, the NRA continually, and specifically avoided detailing what measures it takes to vet donations, including from shell companies, a known means for Russians to funnel money into the United States," the aide said. "Sen. Wyden will be referring his correspondence with the NRA to the Federal Elections Commission to contribute to their inquiry ... As ranking member of the Finance Committee, he is considering additional oversight actions in light of this response."